HEMET: Dentist helps smiles, community! 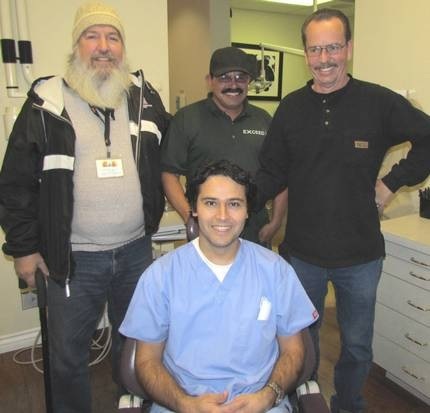 Hemet dentist Jorge Larrondo, seated in dental chair, is surrounded by grateful patients he has served in the past year. His role on the Valley Restart Board of Directors led him to restore smiles for some former clients of the Hemet shelter. Standing, from left, are George Ballard, Rickie Harris and Bruce Bennett. To read full article by Diane A. Rhodes, please click the link below.